However, I am not using a beta build. How do I resolve this issue? It appears you are using a version of PingPlotter impacted by an error that causes the program to think it is an expired beta build. To resolve this issue, you will need to download and install an updated version of PingPlotter. 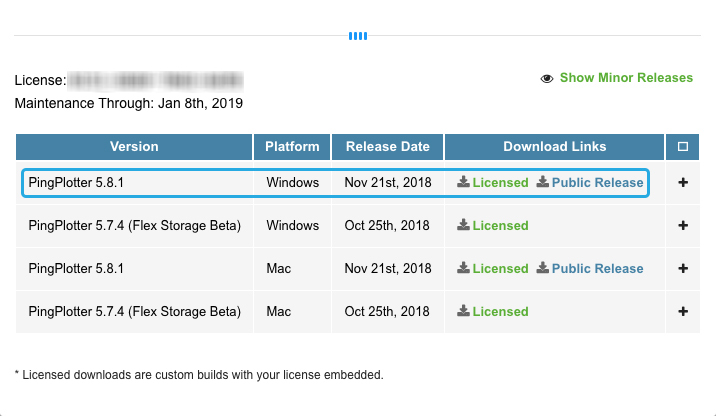 Navigate to your account page and click Download Software… on the license card tied to the PingPlotter version you are attempting to use. In the PingPlotter download panel, select and install the most up-to-date version of PingPlotter for your operating system. Once installed, you may resume using PingPlotter as normal. If the issue persists, please contact PingPlotter Support immediately, and we’ll help get PingPlotter running again. How do I cancel my PingPlotter subscription?